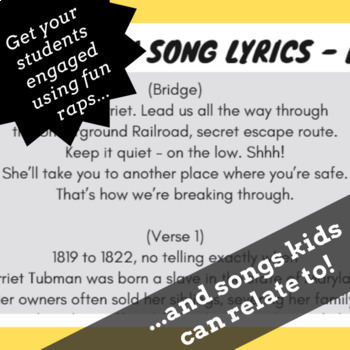 Would you like to keep your students engaged using history rap songs? 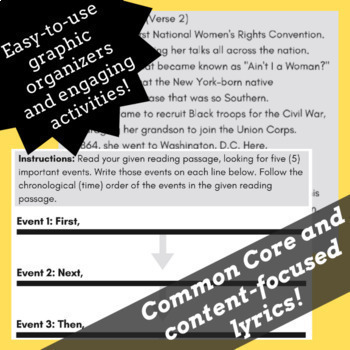 Then these sequence of events, reading passage activities are just for you! 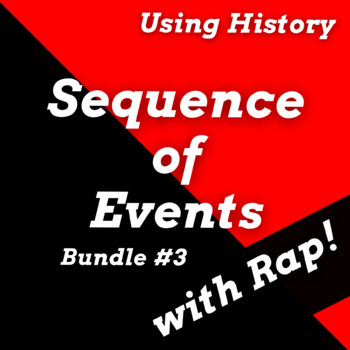 This sequence of events, nonfiction reading passages bundle is based on our history rap songs. 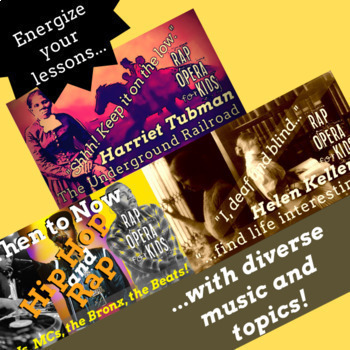 These songs are written as reading passages and explore influential events and the lives of historical figures using rap music. Teach reading skills to your students in a way that they will enjoy! Kids love music and will certainly enjoy using these passages based on songs to complete sequence of events activities. These activities also feature simple explanations and prompts to help students sequence events along with a word bank of transitional words for a paragraph writing activity. A mix of fun topics that kids will love! - a timeline graphic organizer activity.